The Vancouver Condo Buzz » From Mid $200’s > South Main Vancouver’s FOCAL on Main Condos Now Selling at Main & 7th Ave > Boutique 9 Storey Mid-Rise with Striking Architecture! « From $229,900! Final Phase at Vancouver Wall Centre Central Park Tower 3 Condo Residences! 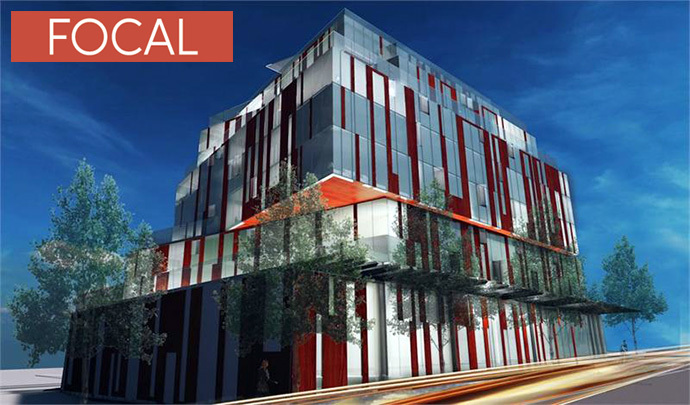 South Main apartments for sale are coming soon to the new Vancouver Focal on Main condo project! Located at Main and East 7th Vancouver, the new Focal on Main apartments will introduce high street design and an ultra convenient location in the most highly sought after South Main Vancouver East district. The boutique building will feature, studios, one, two and three bedroom homes with sleek and modern angularity that is unique and quite striking. In addition, the East Vancouver Focal on Main apartments will feature a great opportunity to be a part of the dynamic, eclectic and artistic community of South Main District. The project is located at Main at East 7th Avenue Vancouver. The presentation centre is now open at 329 East Broadway Vancouver and anticipated presales price points start from just the mid $200,000’s. The Vancouver Focal Condo floor plans are expected to range from junior one bedroom to 3 bedroom city homes that offer as much as 1500 square feet in living space plus outdoor living. From first time buyers to savvy downsizers looking for an exciting project, this is a great opportunity for you! For more information, please visit www.focalonmain.com and register. It’s brought to you by RESIDE Developments. There are approximately 89 suites for sale in a 9 storey boutique mid-rise building. 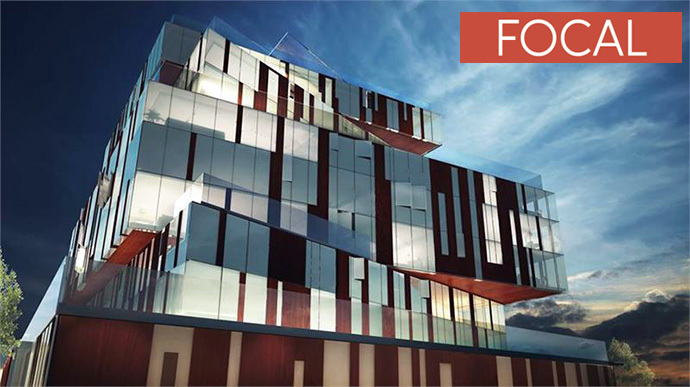 Also, the architect for Focal on Main Vancouver condos is by Arno Matis Architecture. Launched this Summer 2014, the presale Vancouver Focal Condos is all about modern living in an established neighbourhood along Main Street, one of the most exciting and up-and-coming districts in the entire city. This 9 storey residential building will feature exceptional architecture unlike any other in the community and the entire structure appears to be a “series of glass boxes playfully stacked on one another and then held in place with wooden slates or spandrels,” according to Magnum Projects project marketer. In addition, the Focal Vancouver condos present “wood that creates ‘vertical forest’ that subtly echoes the neighbourhood’s past, creating a shading and unique visual dynamic.” In summary, the new Vancouver Focal on Main condos is truly unique in terms of its design, architecture and location. Other great features of the new project are the incredible views. From downtown Vancouver to the beautiful North Shore mountains, home owners at Focal on Main Vancouver condos will see an ever changing panorama even from the 2nd floor. There’s also a communal deck on the top floor (rooftop) that features even better panoramas and this deck will also offer a BBQ area, outdoor lounge and fire pit. This would be an amazing place to entertain friends and family! The South Main Vancouver district is all about lifestyle with tonnes of eateries, cafes, boutique shops, bike stores and many other services just minutes away. In addition, just a 10 minute walk from your front door is Science World and the seawall. How great is that? Sophisticated yet unique is the story behind the FOCAL Vancouver condos, which reflects the eclectic yet exciting South Main district. From the stainless steel kitchen islands that are unique, intriguing and durable to the faucets with black matte finishing, these finishes stand out from any other development in the city. As well, home buyers can expect to find high gloss white cabinetry and backsplashes in addition to a cylindrical style Faber hood fan. Other superior interior finishes at the Focal on Main Vancouver condos include marble counters and vessel style sinks in the bathrooms in addition to gas cooktops and hardwood floors. This is a great place to call home! High street design. Main street appeal. Only on Main Street could you find a place like FOCAL on Main Vancouver apartments. In a neighbourhood known for its visual arts scene and historical architecture, the new Vancouver FOCAL condos on Main is the ideal contemporary counterpoint. It’s a landmark condominium building that defies stereotypes: simple, staggered forms are carefully designed to maximize the sweeping hilltop views, while the interior environments are intelligently crafted for artful living in the heart of the South Main Vancouver East real estate district community. With a one-of-a-kind location at Main Street and 7th Avenue Vancouver FOCAL condos is, unequivocally, the high point on Main. The FOCAL on Main project will feature studios, one, two and three bedroom floor plans. Coming Soon! It’s brought to you by RESIDE Developments. 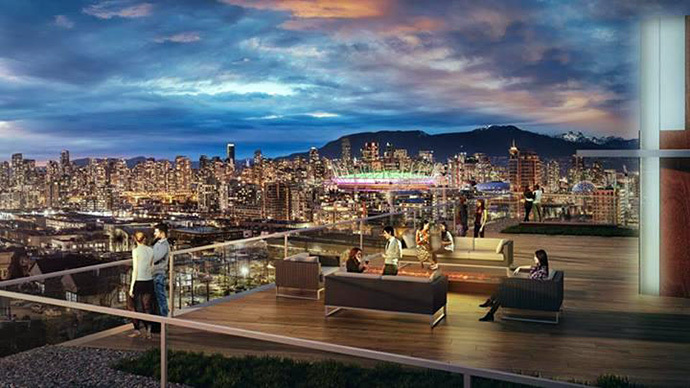 Again, the new South Main Vancouver Focal condos are coming soon in Summer 2014. Please register your interest online on their marketing web site located at: www.focalonmain.com or you can simply visit their newly launched sales centre on East Broadway to speak with a knowledgeable sales staff!